Source: Texas Longhorn Breeders Association of America Pamphlet "Texas Longhorn Beef for a Healthier Lifestyle"
WOW, check the data out on this comparative chart! 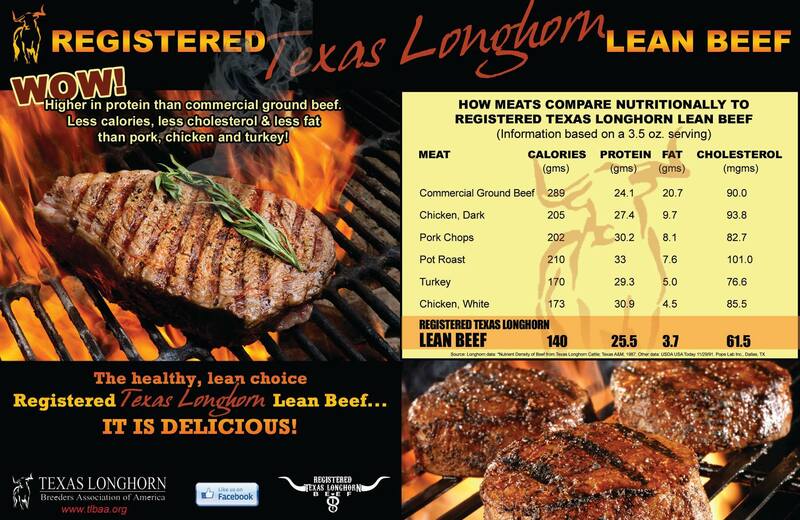 If you want leaner, good for you beef, Longhorn, grass fed beef is right for you! Order yours today!